Yesterday was a crazy busy day. Both my sister and brother graduated. I really wanted to keep the same outfit for both events. Since her ceremony took place during the day and on the field, I went for more of a casual look, adding wedges. My brother's ceremony was at night, and more formal, so I added this blazer and my new pointed-toe Bakers pumps. I'm wearing the same top and pants, but both looks are completely different. I hope you like the pictures. 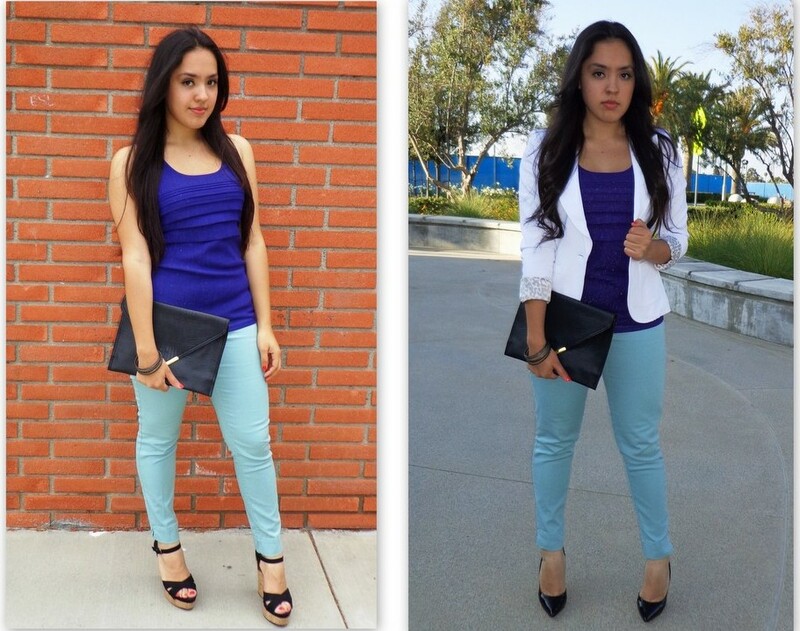 Cute outfit, it looks great both with and without the blazer! I love both of the outfits. Love both outfits. Both are completely different looks! Win a Free Pair of Bakers Shoes!